Dana Hospitality invites everyone at St. Jerome’s University to experience meals made from scratch with fresh, local, ingredients. Every day. We take great pride in bringing exceptionally delicious menu selections to our guests, using safe and healthy cooking practices. What that means to you is that we never use frozen, pre-packaged or processed entrées. We never use canned, freeze-dried or bagged soup. Our Chefs prepare soups fresh daily using low sodium, MSG free soup bases and fresh ingredients. Your Chef will be delighted to meet each student personally and discuss your shared passion for great food. Please don’t hesitate to approach any of our team directly with any questions or feedback. In short, iCanEat is the communication hub for all of your dining needs at St. Jerome’s University! Within the iCanEat website, St. Jerome’s students are empowered with all the information you need to make a great choice when deciding what and where to eat. We want all students to explore the ever-changing variety within our weekly menus, understand our culinary philosophy and most importantly interact with your Chef and food services team all in one place. When you eat exceptional meals, we invite you to share your responses with your friends on the iCanEat blog. When you have an allergy or question about the ingredients, please ask. Your Chefs have the answers because they know exactly what ingredients were used. That is a key benefit of our cooking from scratch philosophy. Within this site you will also find the key contact information for members of our team, hours of operation at each location, and details for upcoming events and promotions. Everything you need is easily accessible with just a click away. 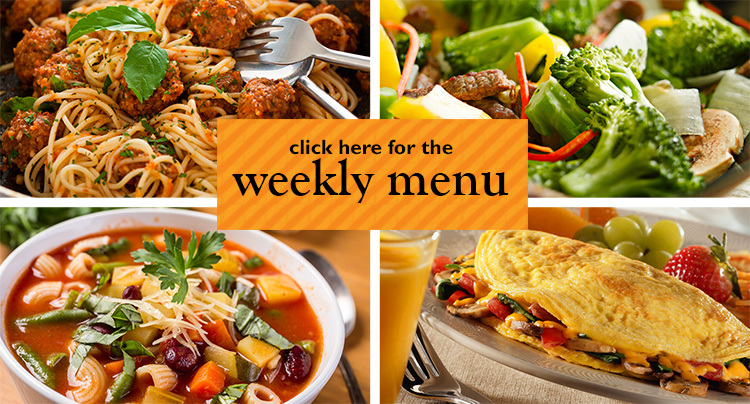 We paid special attention to include heart healthy, diverse and delicious menu choices. Our daily food selections are diverse, delicious and dedicated to healthy eating. Enjoy.Your on-site Chef is always interested in hearing from you, so please let us know if you have any feedback or suggestions. We have designed a loadable payment dining card that is available for you to use in the café. For added convenience, the cards can be reloaded anytime online. It’s easy! Visit our “Healthy” page to see how you can add pulses to your daily meals!